Mother and baby or newborn capatured in the studio. Mother is wearing gray with a gray background keeps this image in the neurtral tones. 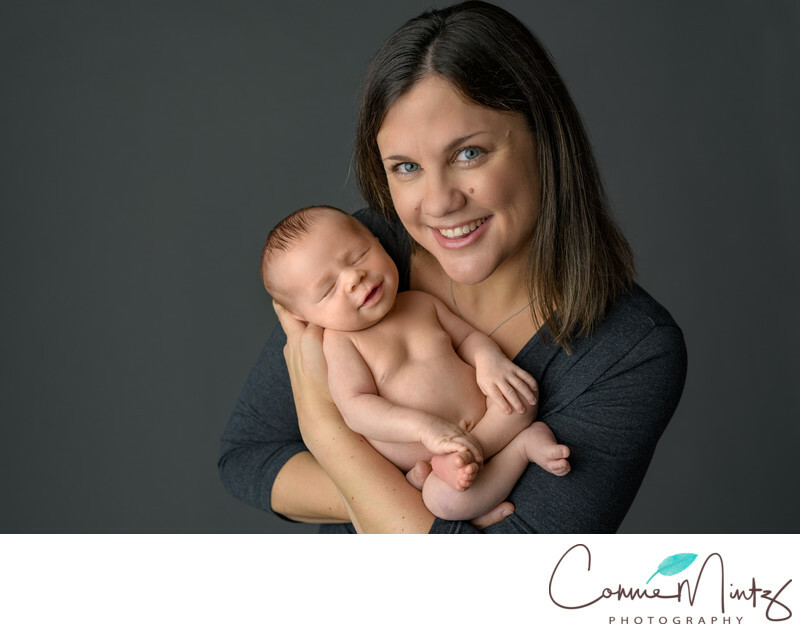 Love that we captured an smiling newborn. 1/200; f/3.5; ISO 100; 50.0 mm.